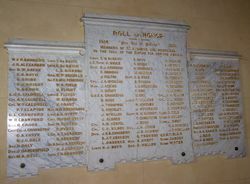 The St Andrews Presbyterian Church Honour Roll was originally unveiled by the Reverend J Crookston on the 6th June 1915 and contained the names of those from the church, including several nurses, who had enlisted to serve in World War One. 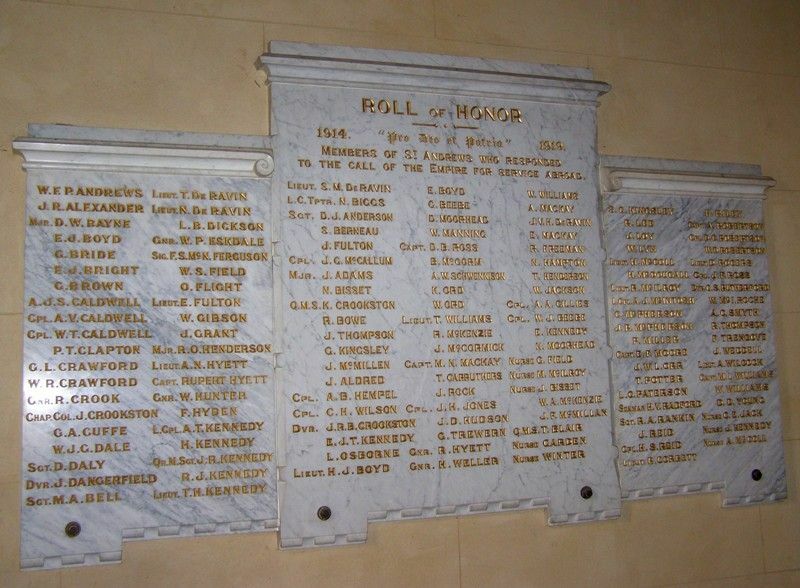 Futher names were added to the roll at a later date which required the addition of two marble tablets. 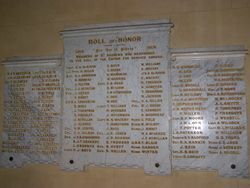 There was a large congregation at St. Andrew's Presbyterian Church on Sunday, when the roll of honor, consisting of a marble tablet, on which are inscribed names of 48 members of the church and Sunday school who have volunteered for service at the front, was unveiled by Rev. J. Crookston. The Age (Vic) 7 June 1915. 1914. 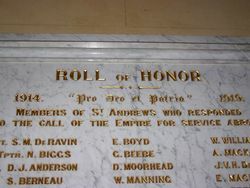 "Pro Deo et Patria" 1919.